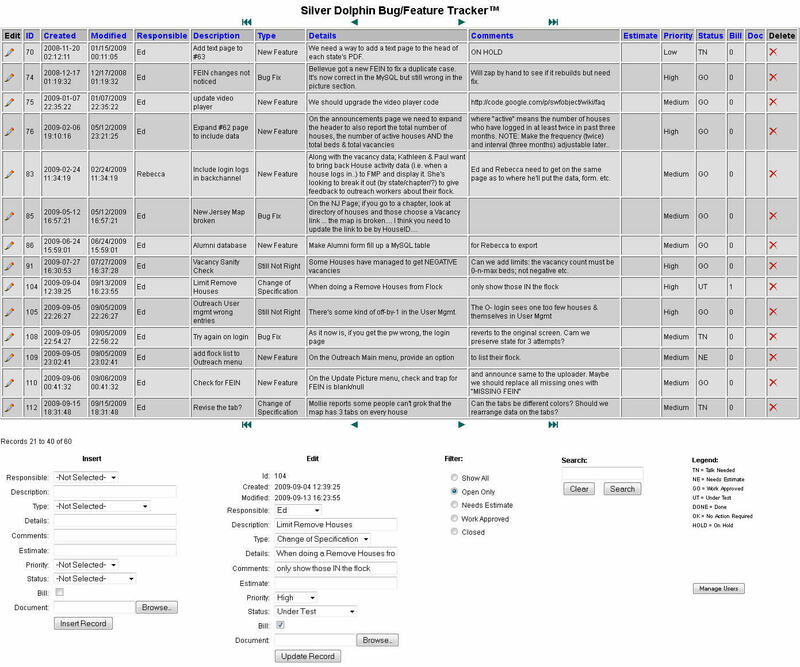 Track your bugs and features with the Silver Dolphin Bug/Feature Tracker™. 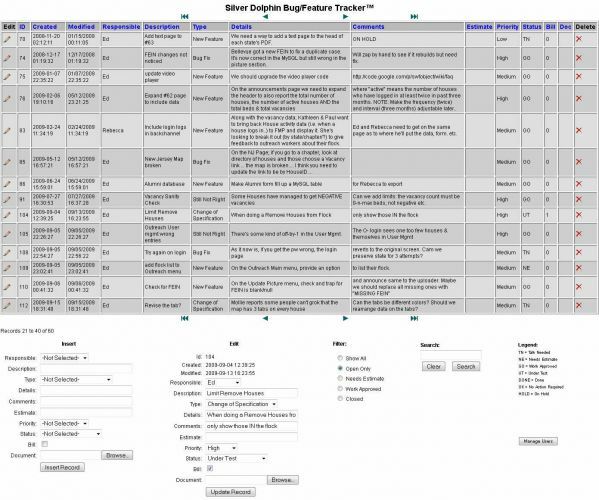 This system includes person responsible, description, details, comments, type (bug fix, new feature, change of specification, still not right), estimate, priority (low, medium, high, urgent), status (talk needed, needs estimate, work approved, under test, done, no action required, on hold), and billable. You can add or remove persons responsible, add or remove users and change passwords, and upload documents per incident. Your can also sort by any of the above fields and search all content. Click here to go to the download page.